The Father of the Bride – ‘an emotional time’. For the bride, it is a chance to show everyone how much she loves her father and how special and important he is. However, for the Father, it can often have a more significant meaning. Some fathers find it difficult to walk their daughter down the aisle and ‘give them away’, understandably so as after all, he did love her first. So spending a few moments on the dance floor together in front of everyone, can really put a father’s mind at ease, make him feel special and realise he hasn’t lost his little girl, she still loves him and needs him, just as much as she always did. 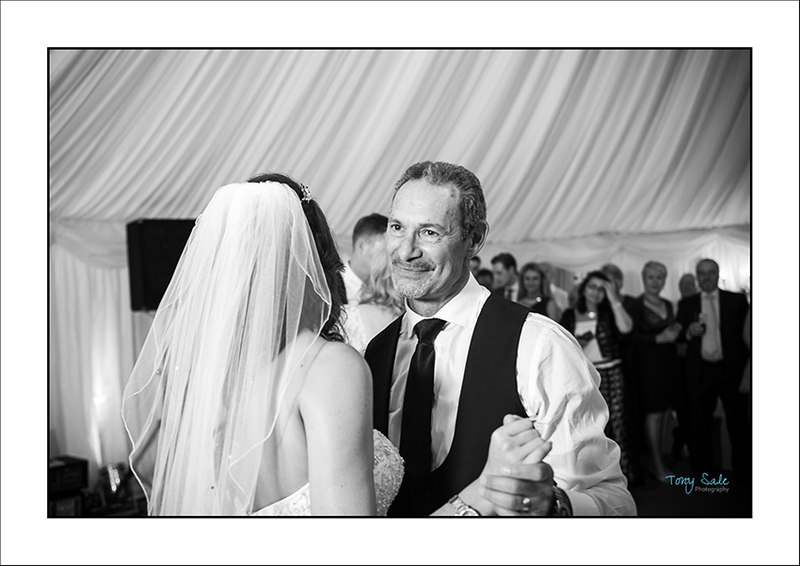 In this image from a recent wedding at Pontlands Park it’s clear to see the love and emotion in the fathers eyes as he dances with his daughter for the first time since giving her away.